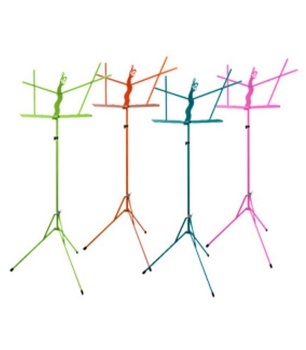 Colored music stands! Includes carrying bag. Rubber-tipped legs, folding wire music holder, adjusts from 34 1/2" to 58"